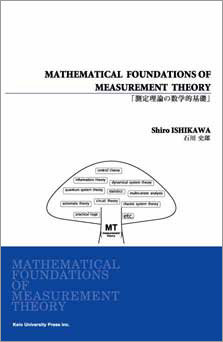 The mathematical foundations of measurement theory will be proposed in this book. 1.the mathematical representation of "the mechanical world view"
In the most part of this book, the above 2. and 3. are mainly and mathematically treated. All people that are involved in science may be recommended to read this book.